With Valentine’s Day around the corner, instead of buying flowers and making dinner reservations, I find myself feeling the pangs of a broken relationship. But even with this heartbreak, I’ve found more love than I could imagine. And it is all because of pain. Sometimes, pain is the most important teacher in life. It takes on many forms: physical, emotional, existential, spiritual, the list goes on. Yet regardless of the different shapes it takes, pain is always the same. It eats at the core and it sinks down low. It is blue and hollow, victimized and regretful. Pain is a horrible feeling that is relaying a message to the inflicted. At the most basic level it yells “STOP!” Take your hand off the kettle, take pressure off your ankle, release your grip of the thumbtack. It alerts us to safety when we are in danger. In physical form, the tangibility clearly denotes the necessity of pain. But what about the less palpable pains? What about heartbreak? What about depression? What about fear and failure? These are all forms of pain and they all hurt—sometimes more than physical pain. What are the messages of these non-material sufferings? 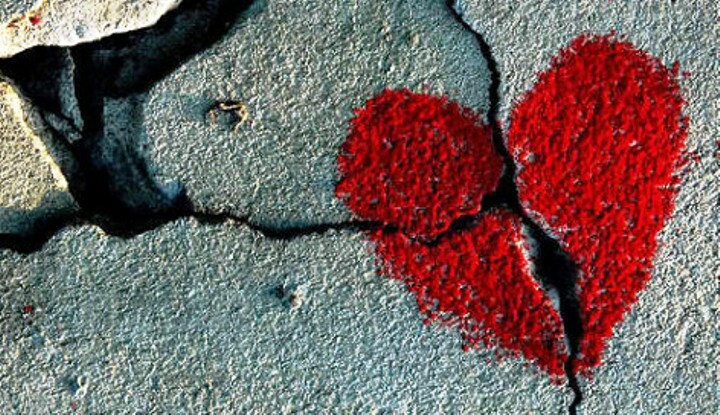 What is pain telling me when my heart is broken? It is telling me the same message: “Stop!” Something in my life is causing me harm and I need to pay attention to it. This stress is taxing my energy and causing friction, so much friction that pain must speak up. In all honesty, I am going through a lot of pain. Break ups are never easy, nor the ones you wish did not happen. As easy as some make it seem, separation is always tough. However, it is nothing new and the outcome will always be positive because, as they say, life goes on. What I would rather discuss is not the details of my situation, but the process of pain. I find that too often I speed through the painful moments in order to reach happiness. This neglect of hurt has denied me valuable lessons. Lessons that one can only receive in true moments of despair. I now what you are talking about first hand and it took real pain and attention to that pain to be able to recover completely. I believe we have to evolve to higher states of understanding somehow and without pain to enlighten us…..we will remain stagnant in our lives with no hope for improvement. I gave up my whole world and followed the love of my life to a foreign country in 2010. When the relationship came to a screeching halt almost exactly one year ago, I was completely lost. The pain and fear of the unknown was indescribably deep and overwhelming. I could barely remember how tie my shoes. I learned, over the next 8 months, to truly understand the beauty of pain. It is not permanent, and I never know when it chooses to visit, so I now see the privilege it is to sit with it, and appreciate it’s presence while it stays a while. I feel like that state of pain from complete and utter loss frees us from the fear of “What if” that so frequently and unconsciously controls and guides our lives. I discovered my true inner strength, and now am able to see more clearly than ever before. There is beauty in pain. And strength. And liberation. And joy. And being able to share it with others is a such a precious gift.